Mario Andretti overcame near exhaustion to win the Dutch Grand Prix, his sixth win of the campaign and a result which meant the drivers' title was almost certainly his. Lotus' weekend was rounded off as Ronnie Peterson took second, the pair's fourth 1-2 of the season. They dominated practice, the first session of which was enlivened by Alan Jones smashing his Saudia Williams into catch fencing after an axle failure and then being allowed to dangle for some time before marshals extricated him. After another good start which allowed the Lotuses to build a five-second lead, Nikki Lauda maintained the pressure on them and slowly clawed back the gap to three seconds. When Andretti passed the pits with his car sounding out of sorts - it was a broken exhaust collector pipe and so not vital - that spurred Lauda on more, but he found himself unable to get past Peterson who was driving a superb race to protect his team-mate. Andretti found more pace and was able to extend his lead in the closing stages before crossing the line with Peterson right next to him. "I couldn't catch them," Lauda said. "There was nothing wrong with my car; it simply wouldn't go fast enough." 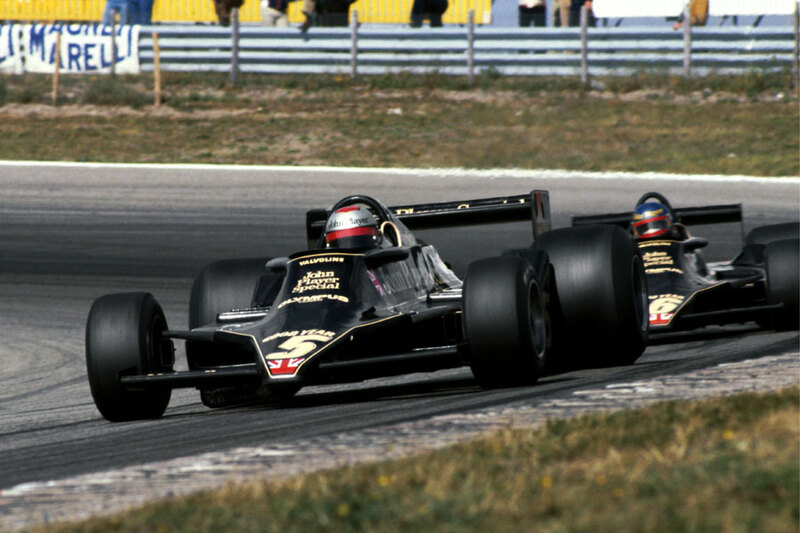 Behind the leading trio, Emerson Fittipaldi showed why he had world titles to his name with a brilliant drive to take fifth in the spare Copersucar, hounding John Watson all the way to the line and repeatedly shaking his fist at the Ulsterman. A grinning Fittipaldi said afterwards he was not angry but was simply trying to unnerve his rival. Surtees had a lively weekend. It was forced to replace Rupert Keegan after he crashed heavily in the warm-up period, Arturo Mezario taking over, and then Vittorio Brambilla was black flagged as a result of him being pushed back onto the track by marshals after skidding off into the sand.